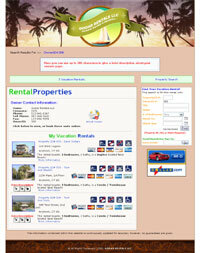 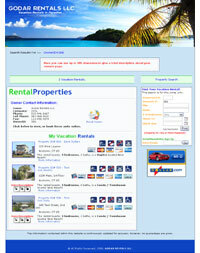 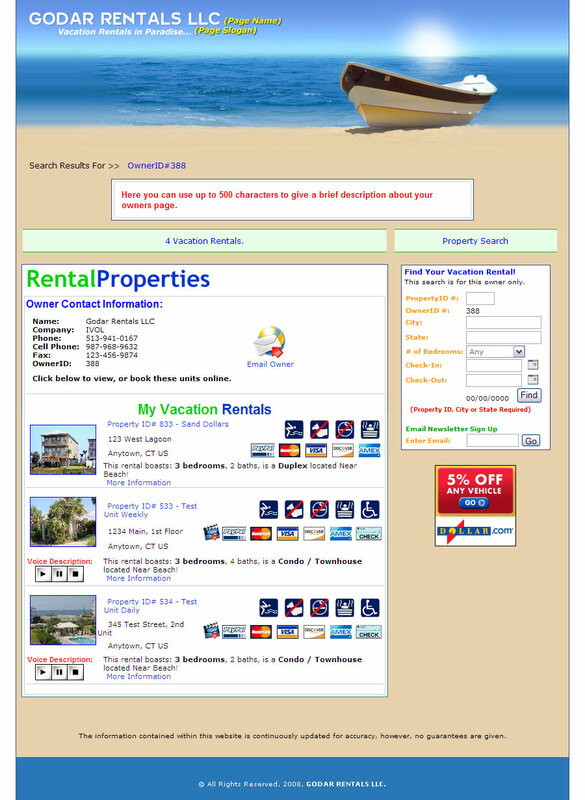 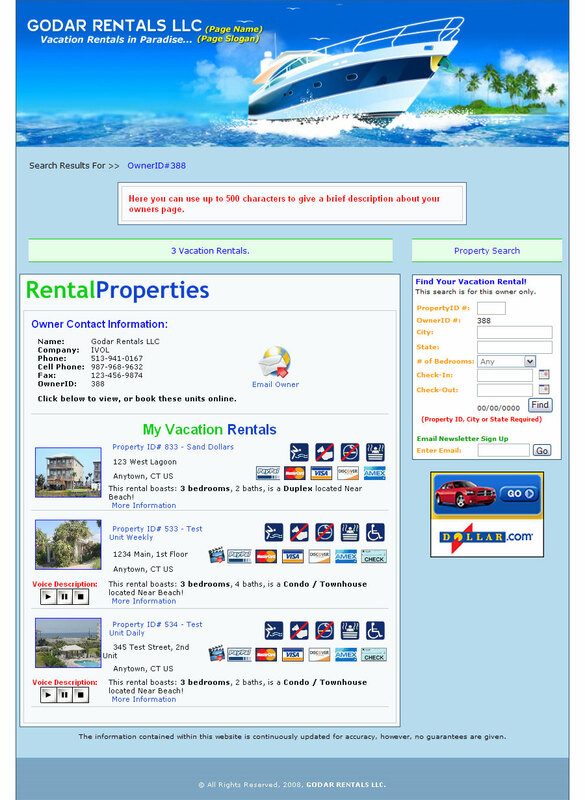 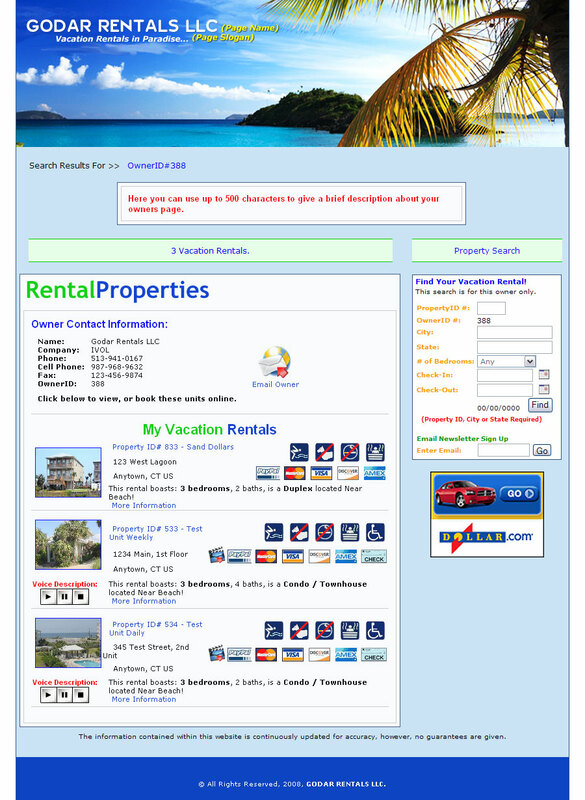 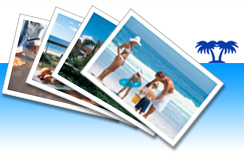 ivacationonline.com has custom templates for your owners listing pages. 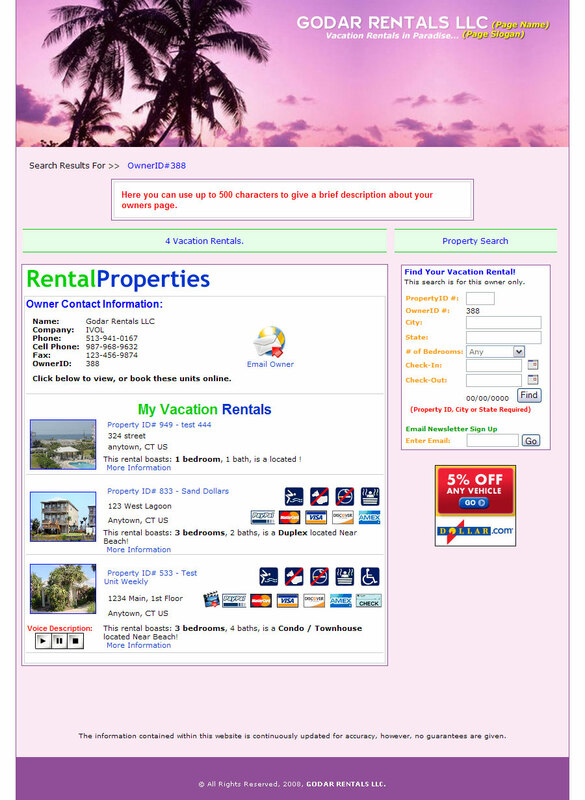 Dress up your OWNERS PAGE with one of these Custom Templates. 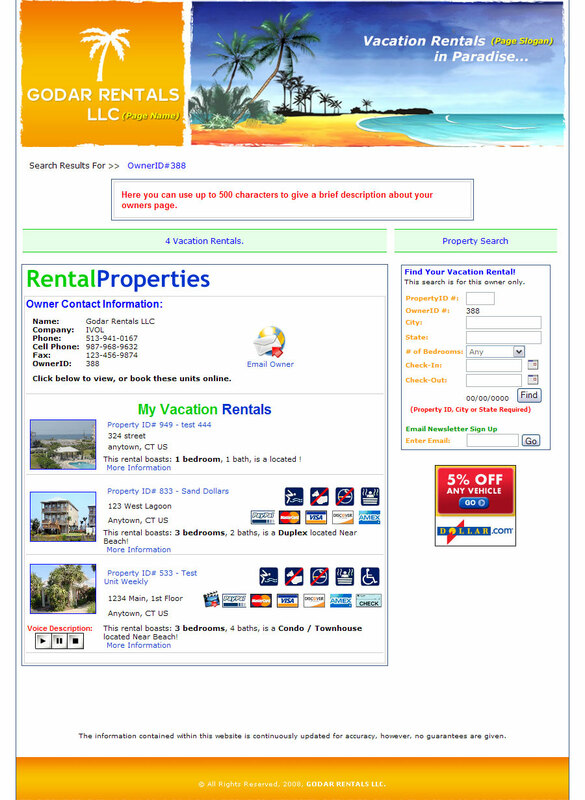 Your "OWNERS PAGE" is the page that contains only your listings. 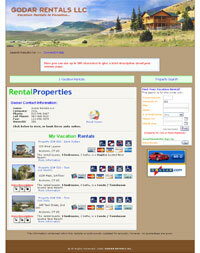 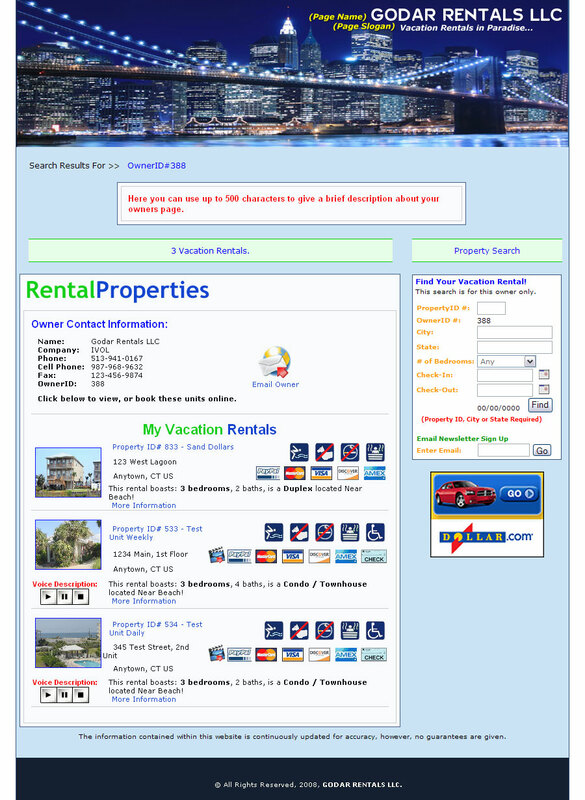 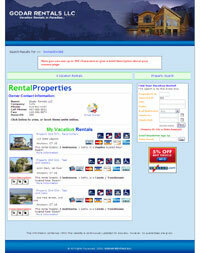 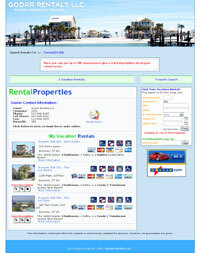 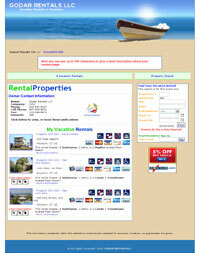 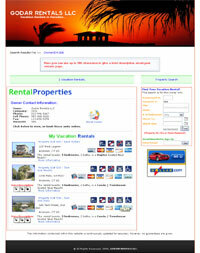 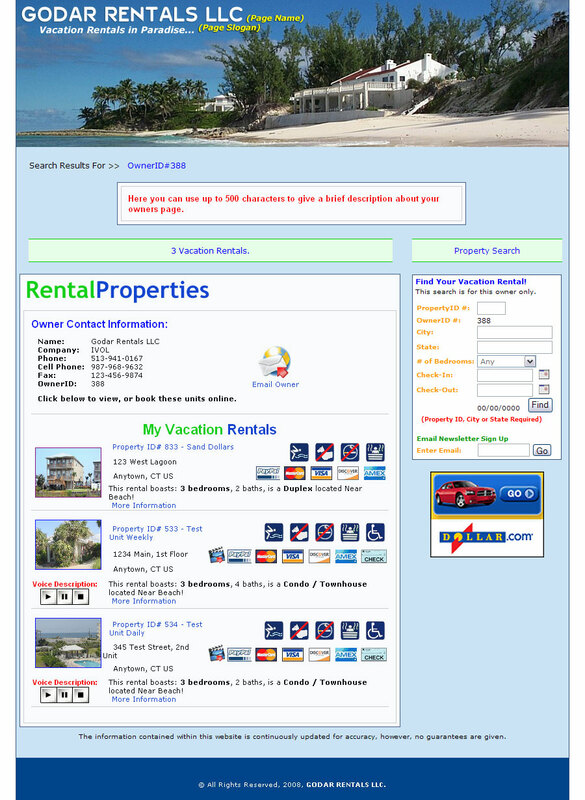 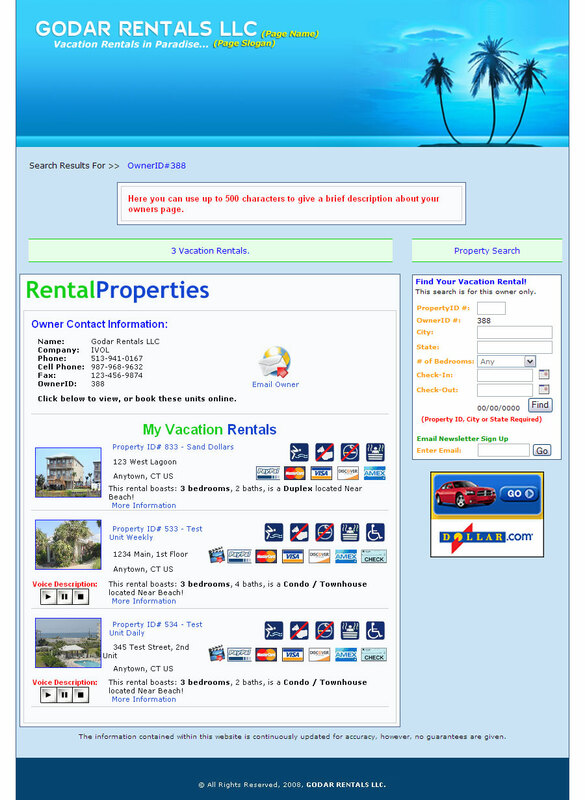 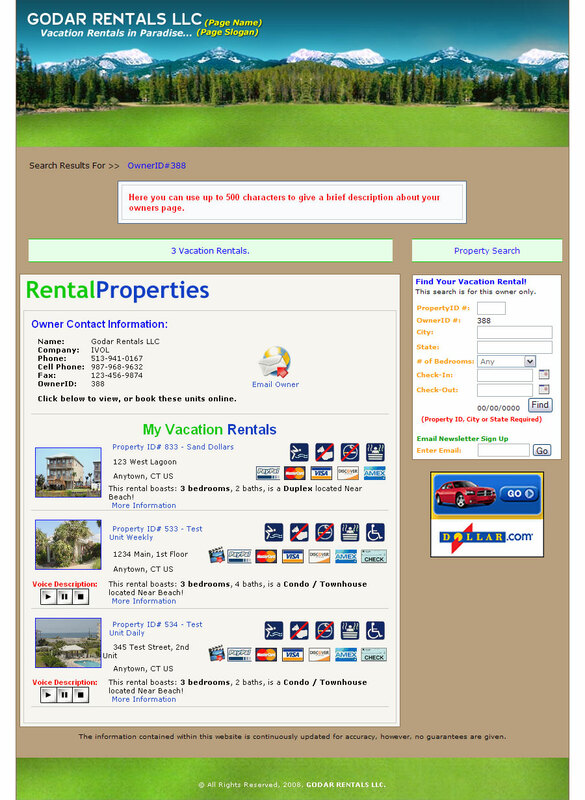 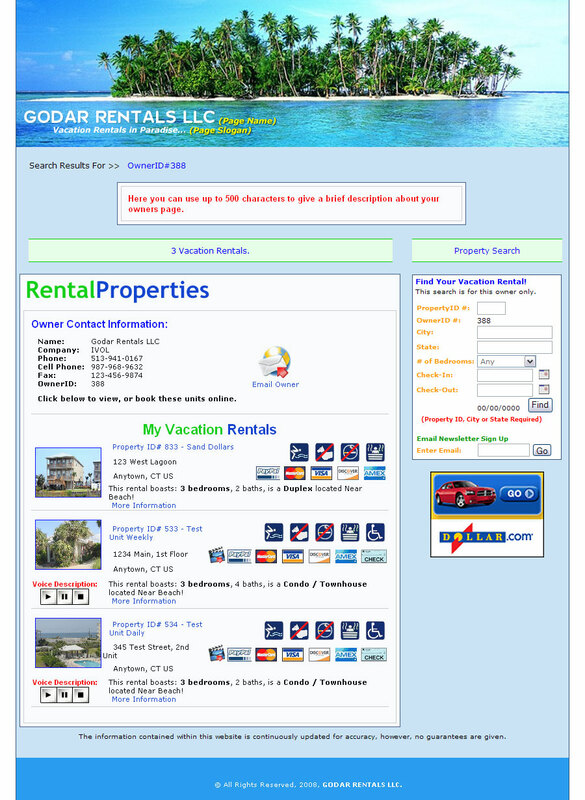 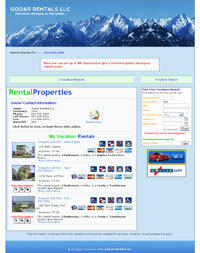 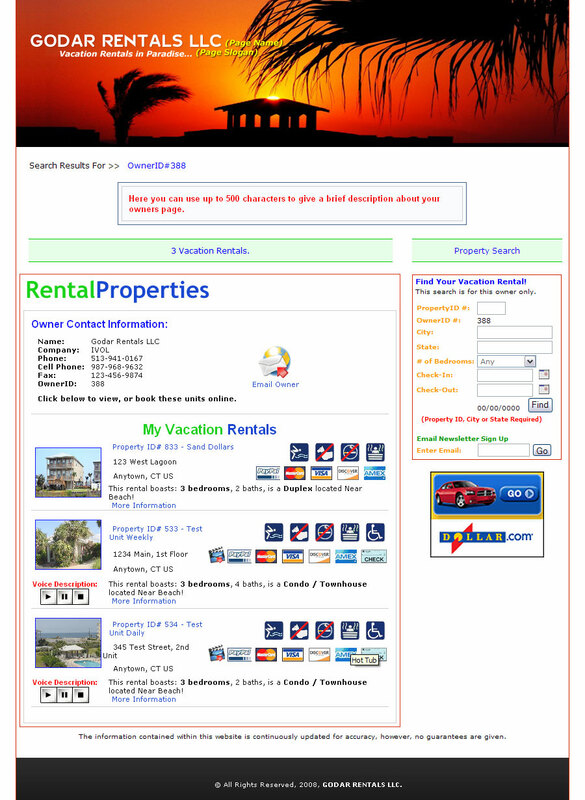 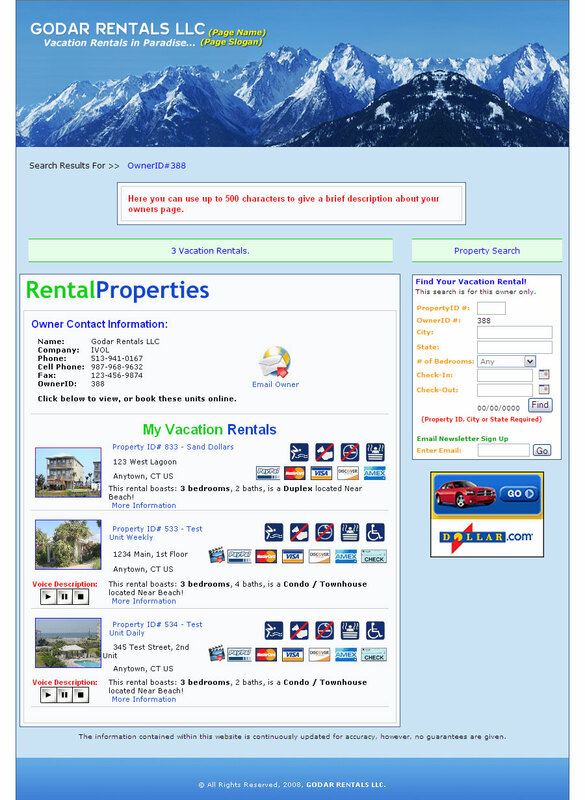 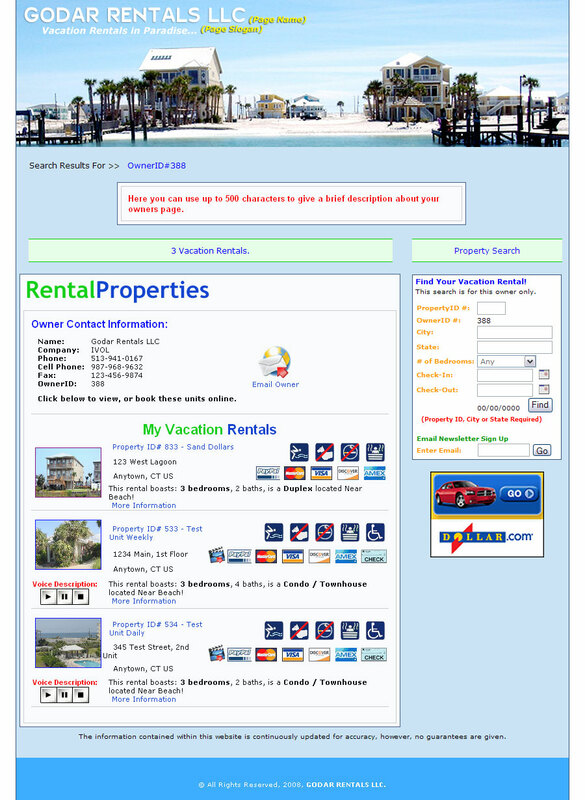 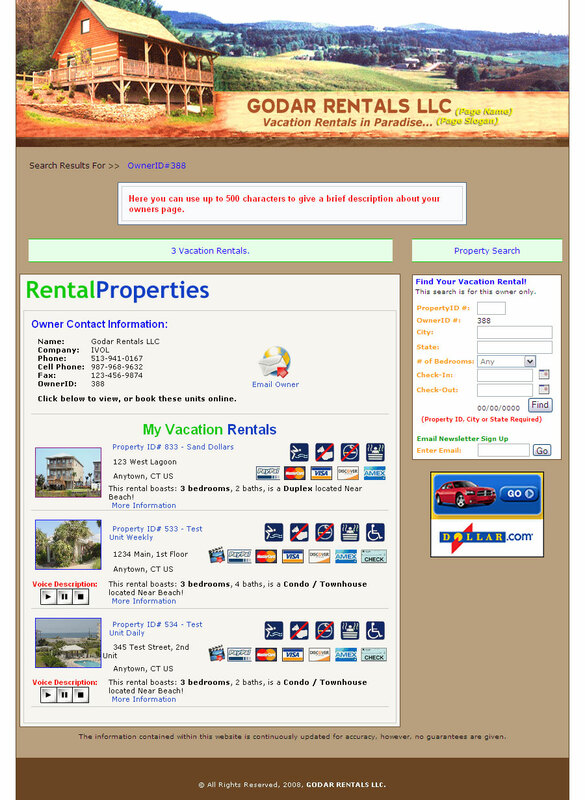 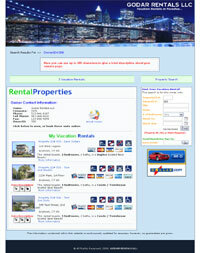 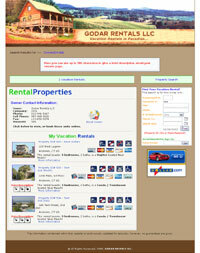 If you click on,"View all rentals by this owner" on your listing, you land on your OWNERS PAGE. 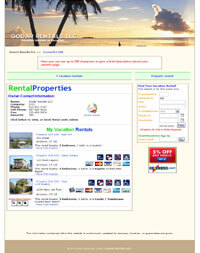 This is the page that the template will replace. 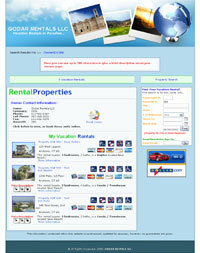 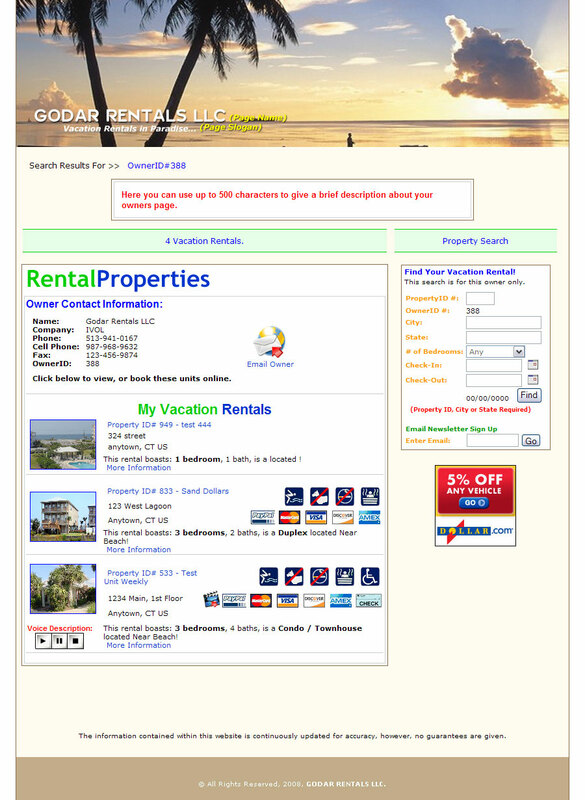 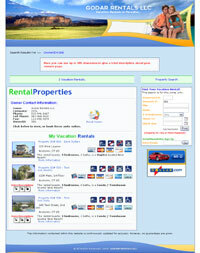 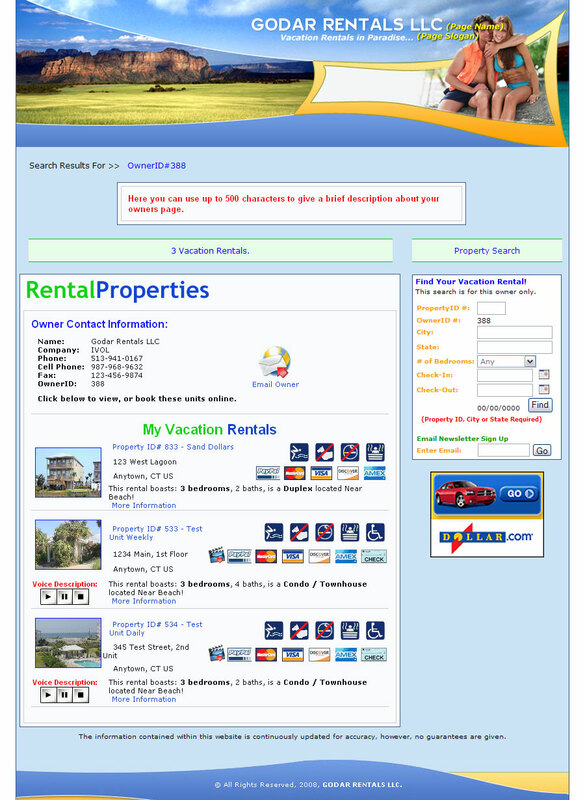 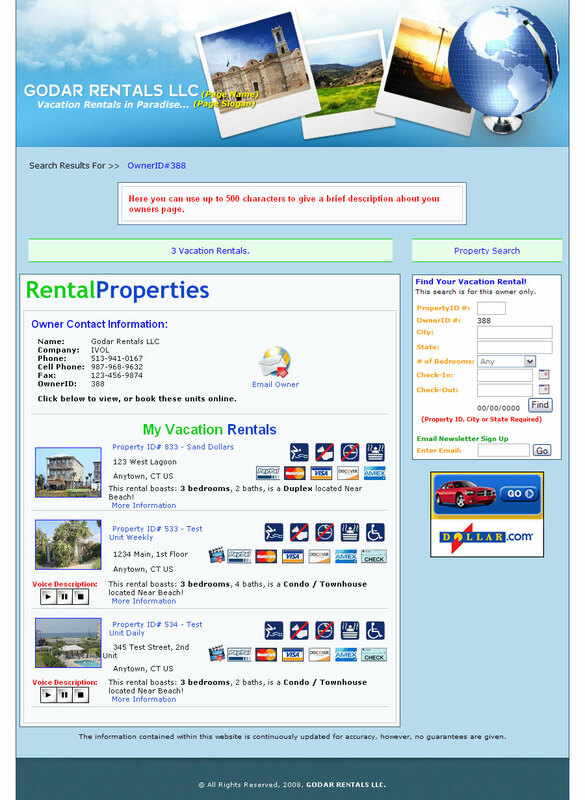 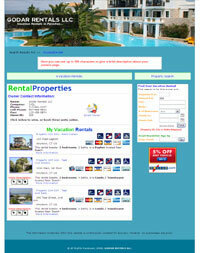 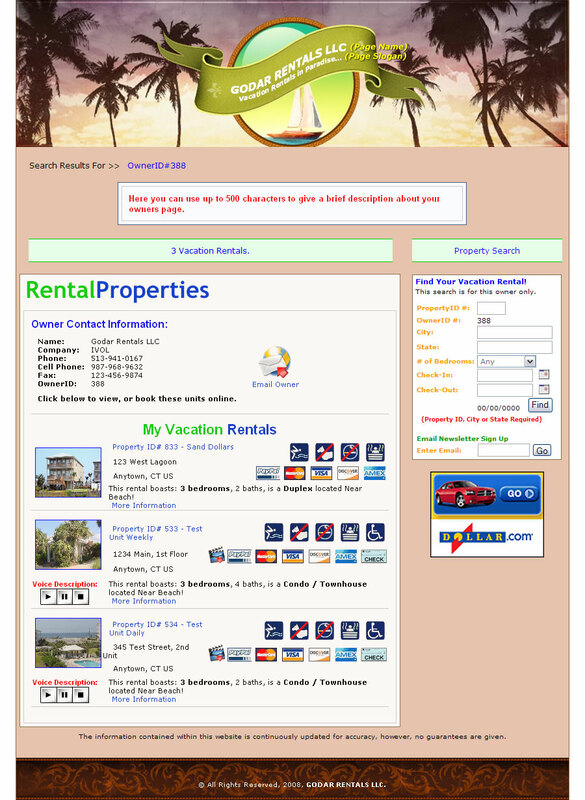 This will now give you a private customized site for your rental business. 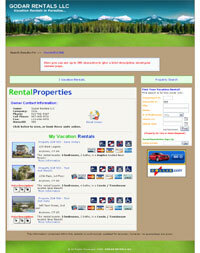 The cost is $99 for the custom template to be installed on your owners page. 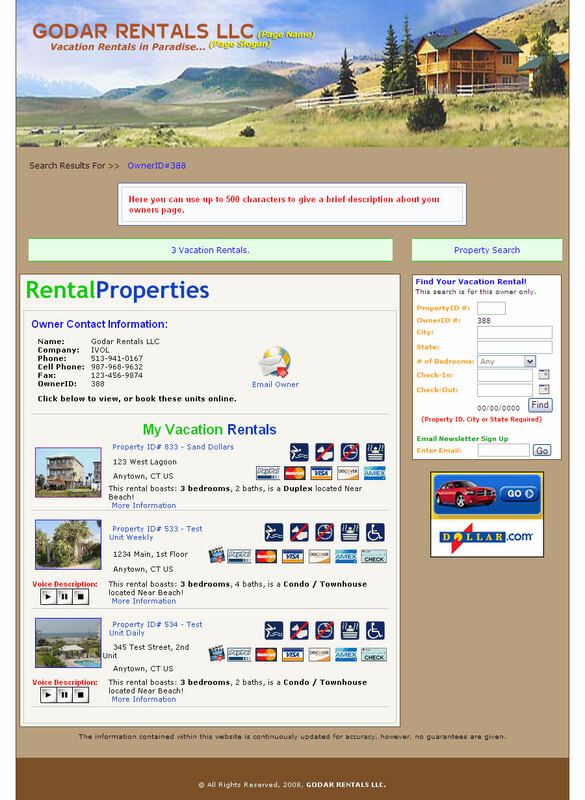 This will replace your "Owners Page". 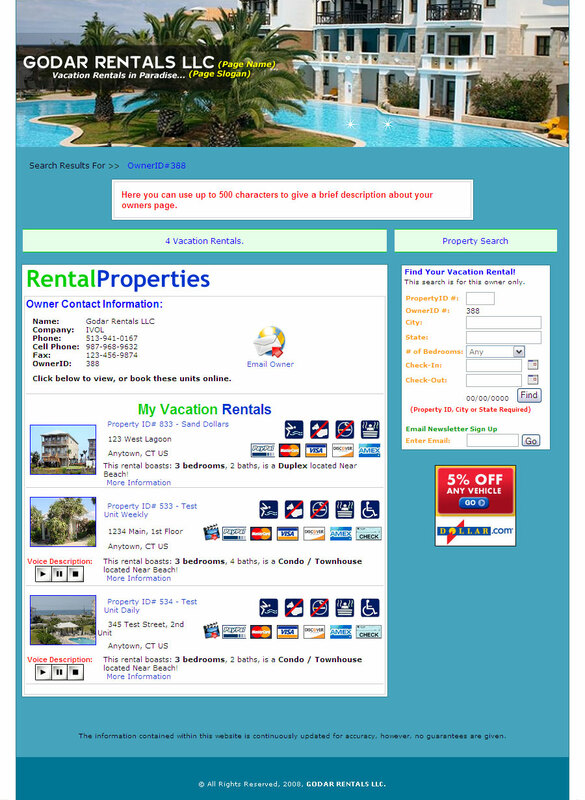 The template will not have any links or mention ofwww.ivacationonline.comas this allows the owner to promote their own business. 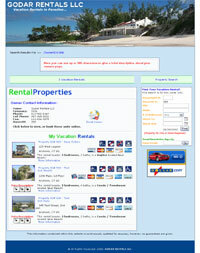 The search feature will only search the owner’s properties. 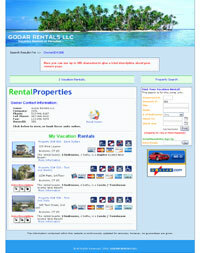 We recommend adding a private domain name to this listing for a custom application.